I broke ground yesterday on working in my new studio in our new home. It felt so good to sit down at the loom and embrace my new beautiful space and all its natural light. I’m working on this gorgeous colorful custom cotton warp from Japan. 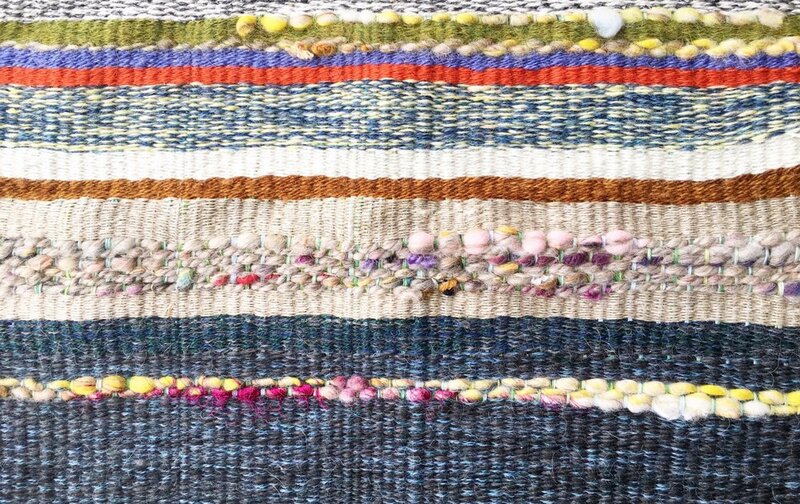 I’m giving myself some free time weaving on this vibrant warp before I jump back to the collection I started this spring. With our move and a family wedding in Wisconsin next month my collection release will be pushed back to this summer. In the meantime this technicolor fabric is giving me life and joy in my new space.